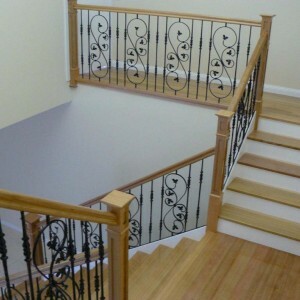 Closed full stringer staircase with pine risers, stringers and Vic Ash treads and posts. 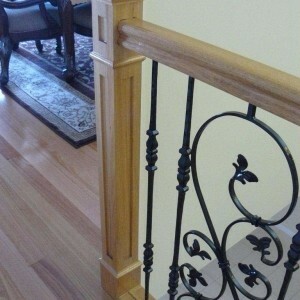 Includes bullnose bottom tread and rise. 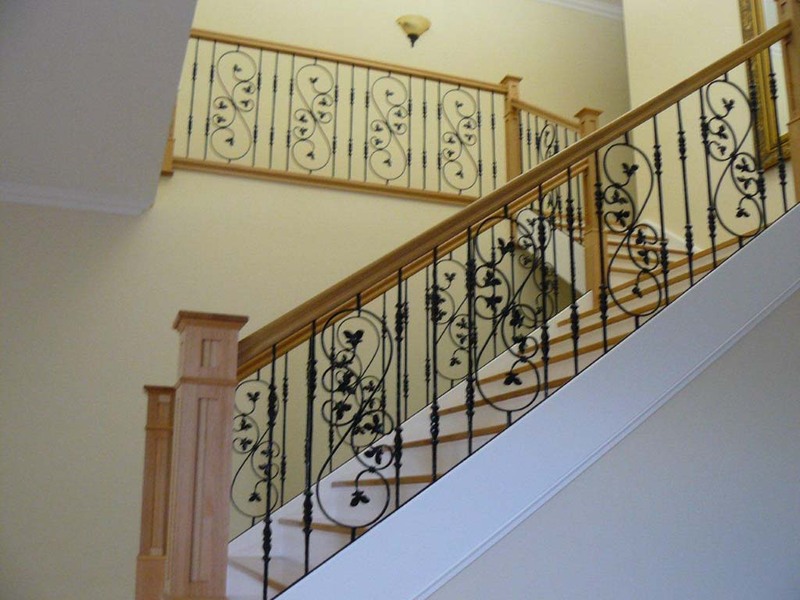 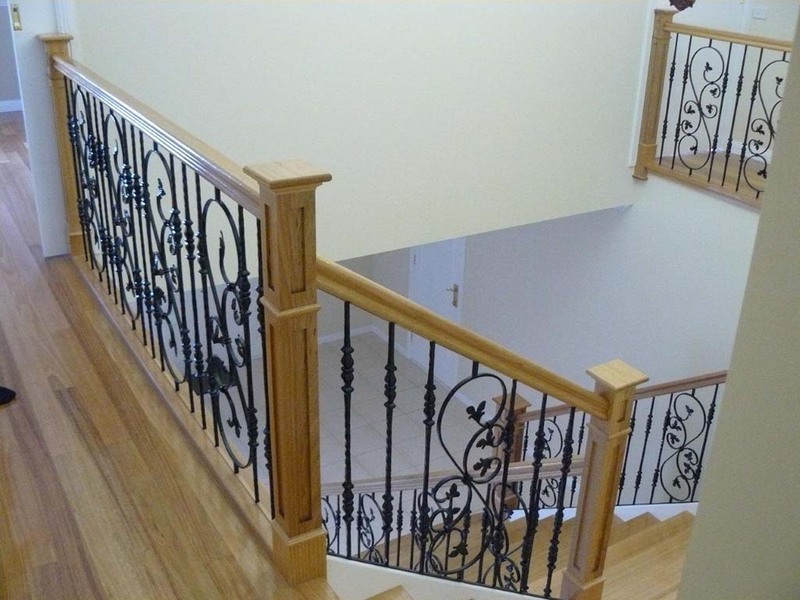 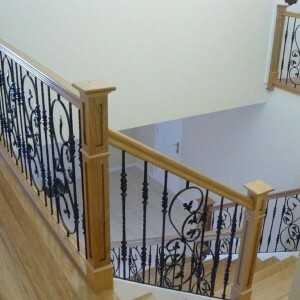 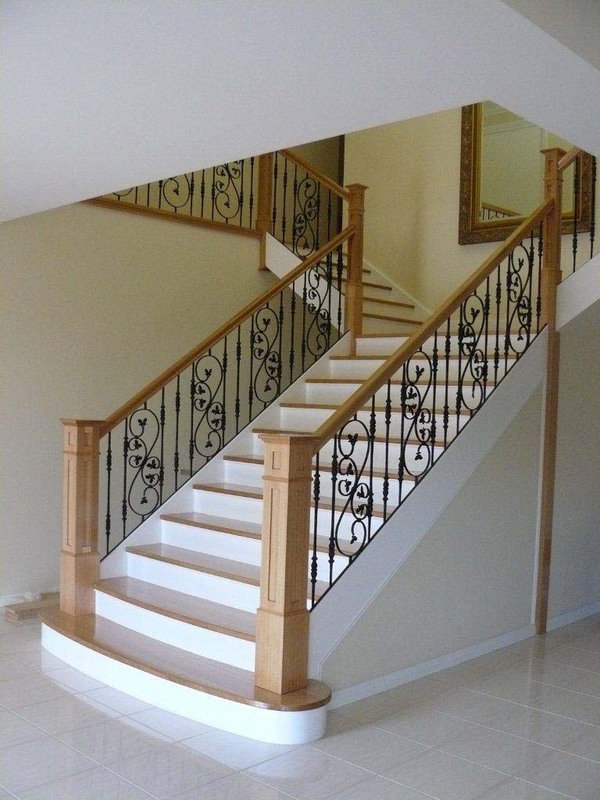 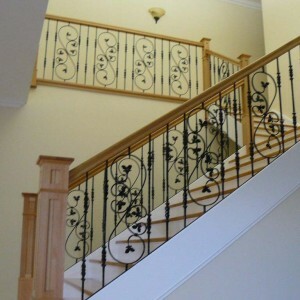 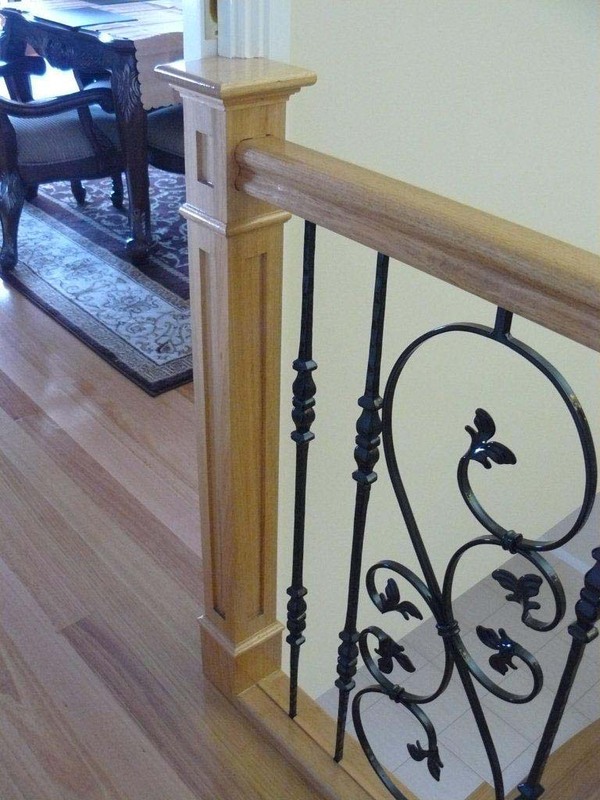 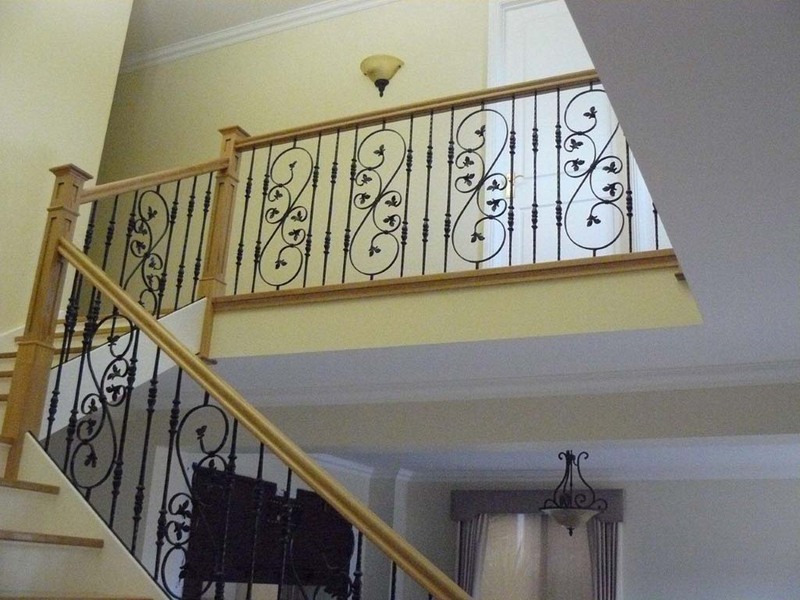 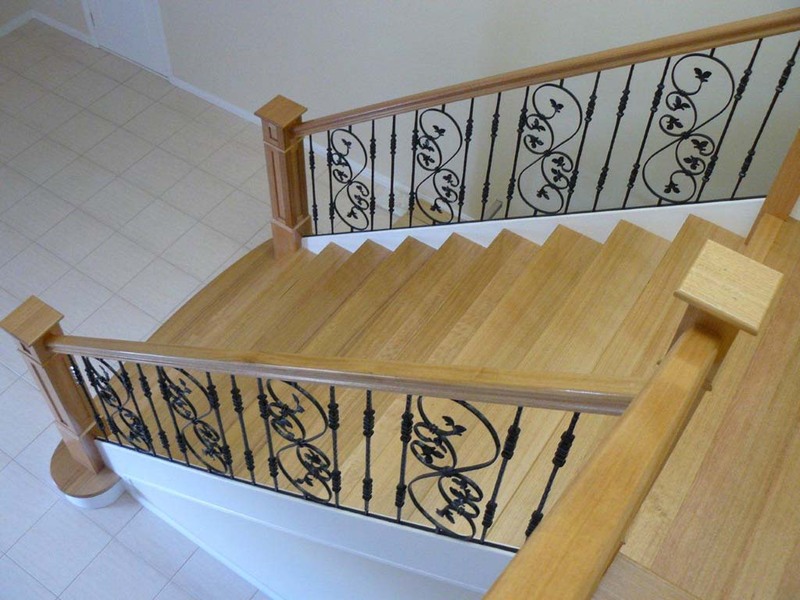 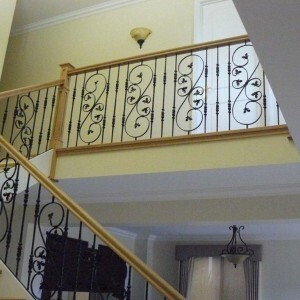 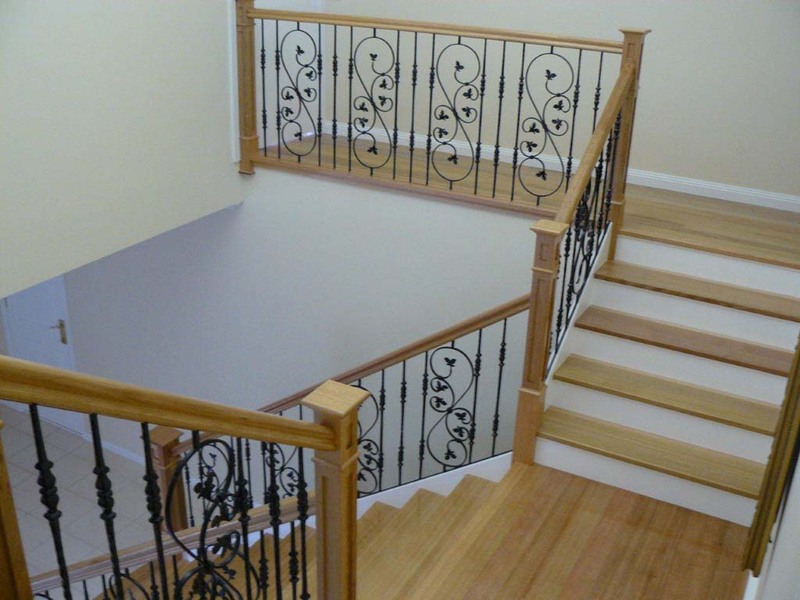 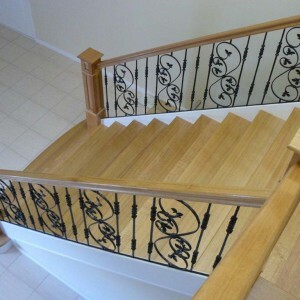 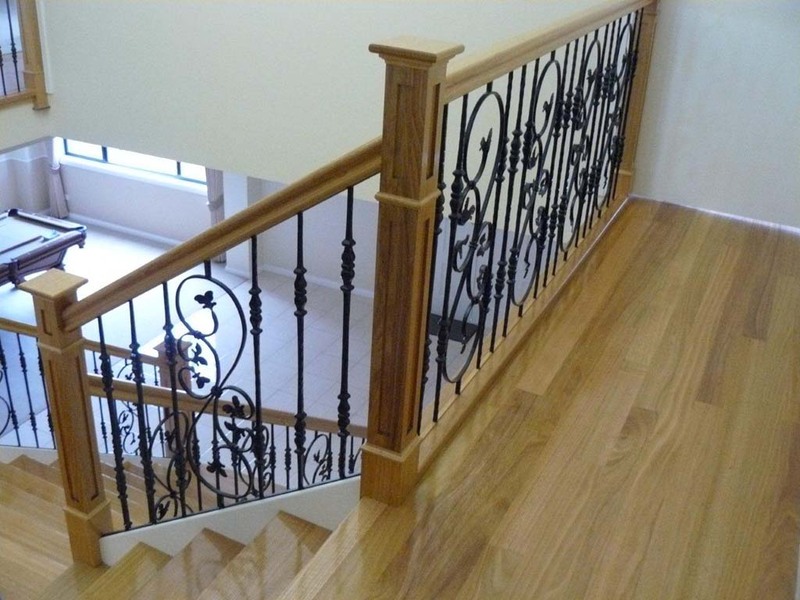 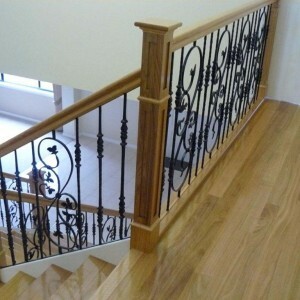 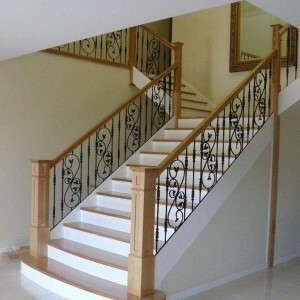 Balustrade consists of 150x150mm Big Ben posts at the bottom, all other posts 90x90mm Big Ben posts, wrought iron balusters, traditional style handrail.